The lawsuit is aimed at a US statute that blocks government agencies from using equipment from Huawei and its domestic rival ZTE Corp., according to a complaint filed in federal court in Texas. Huawei argues in the suit that it’s unconstitutional to single out a person or a group for penalty without a fair trial. The action signals a more aggressive response from the company toward its US accusers, who have been trying to persuade other countries to ban Huawei gear from crucial fifth-generation communications networks. The complaint landed days after finance chief Meng Wanzhou sued Canada’s government for allegedly trampling her constitutional rights during her December arrest -- an effort to discredit the case against her as she awaits potential extradition to the US for bank fraud. 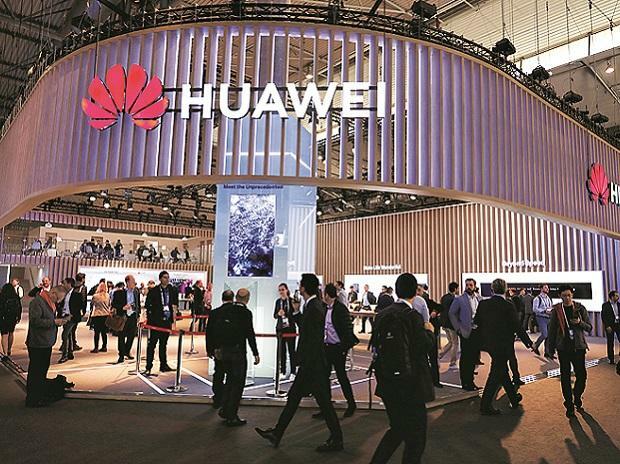 In its US case, Huawei is taking aim at a provision in the 2019 National Defense Authorization Act. That provision bars any executive agency, government contractor or company that receives a government loan or grant from using Huawei and ZTE equipment, according to the complaint. The Chinese company argues that the provision is a bill of attainder, a legislative punishment without trial that’s prohibited by the US Constitution. Legal experts give Huawei’s lawsuit little chance of success based on a recent, similar case filed by Moscow-based cybersecurity firm Kaspersky Lab Inc. In September 2017, the US Department of Homeland Security directed agencies to stop using Kaspersky’s anti-virus software based on concerns the Russian government could use the programs to spy on federal information systems. President Trump signed the ban Dec. 12, 2017. A Washington DC-based appeals court agreed late last year with a lower court’s rejection of Kaspersky’s argument that the prohibition amounted to an unconstitutional bill of attainder because it addressed a national security vulnerability. Huawei is increasingly in the crosshairs of the US government and its allies, just as it’s pushing for leadership in supplying fifth-generation wireless technology. Countries are preparing to spend billions on the potentially revolutionary equipment aimed at enabling everything from smart highways to self-driving cars. The world’s top provider of networking gear faces the prospect of being shut out of pivotal infrastructure markets. And the clash has complicated negotiations between Washington and Beijing as they try to hammer out a trade deal. Washington-based law firm Jones Day is representing Huawei in the lawsuit. US officials and industry executives have long harbored questions about Huawei’s ties to China’s government, and concerns about its technology have mounted in lockstep with its growing success. Federal authorities in Seattle are investigating the company for allegedly stealing trade secrets from US partner T-Mobile US Inc., and in December Meng was arrested in Canada on fraud charges linked to Iran trade-sanction violations.